Technical Recruiting & Assessments, What’s Working. Building a product in the technical recruiting space? Read this first. It’s hard to know if you are an internal recruiter, that’s where Devskiller Global Technical Hiring & Skills Report 2019 comes in. This probably means that devs prefer to keep their weekend free for other projects and leisure, rather than recruitment. How do managers of technical recruiting teams define a high potential hire? Technical recruiting is a uniquely challenging task. Recruiters require a special set of skills, and no one recognizes these skills better than the hiring managers. Technical recruiting is perhaps more complicated than it’s ever been at any point in the legitimate global history of sourcing and recruiting. Blog Posts Candidate Sourcing Featured HR Technology Interview Tools News Recruiting Resources Social Recruiting Sourcing Technology Trends codefights hiring hrtech software jobs tech recruiting tech sourcing technical recruitingThe modern landscape It’s a jungle out there. The talent market is shrinking every day, especially for technical talent. But the best technical recruiters realize it's not all about the shiny new product - it's about the people. Sourcing technical talent is growing more and more competitive as companies are fighting for the best candidates. For technical recruiters, this means that our challenge to find and place top talent in this field is huge. Technical workers such as engineers, programmers, mathematicians, and developers are among the most difficult and costly to source, assess and hire. 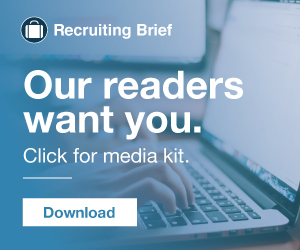 Featured News Recruiting Recruitment Marketing Technology budget employer branding eteki jobs in tech tech jobs technical assessments William TincupPart 1 of this series can be read here. The role of a technical recruiter is especially difficult, because they have to learn things such as different complex programming languages to tell apart good from bad candidates. What is a technical recruiter? Why are technical recruiters important? Hiring for technical positions is one of the costliest of recruiting efforts, not only in terms of money spent, but as well in terms of time spent sourcing, interviewing, and assessing. In technical recruiting however, engineering skill can be measured - and it should be. Technical recruiters can then hire in confidence, knowing that they really are bringing in the best people for the job. Why am I even bringing this up in an article for technical recruiters? Well, surprisingly it turns out that Moneyball has a lot of important lessons to teach us about sourcing and recruiting engineering talent! Old-school technical recruiters are stuck in these patterns. Whether you’re a Talent Acquisition Manager, VP of Culture, or HR generalist, chances are…you have had plenty of interactions with engineers, product managers, and other technical experts at your organization. What are female technical recruits looking for? Which industries should companies invest in to grow their technical teams? Hope these reads clarify some common misconceptions about technical experts’ needs and interests! There are endless “hot” tech recruitment trends, but which ones should you keep a close eye on after the holidays conclude? Here are a few technical recruitment trends to keep an eye on in 2018. Tech Recruiting TipsThe end of any year is an excellent opportunity to look ahead and re-evaluate your tech hiring goals. At the same time, you probably have a few questions. Technical recruitment is tough. There are many ways to be successful in technical recruitment. There are countless methods of using content marketing in tech recruiting. You communicate it on your web page or during the recruitment process. We all know that sourcing and recruiting can be very time-consuming and at the same time you are expected to act as fast as possible. To make sourcing and recruiting faster and smoother you have to act smart and use tools to support you. Hiring managers expect recruiters to shortlist prospective hires with qualifications exactly matching job requirements. 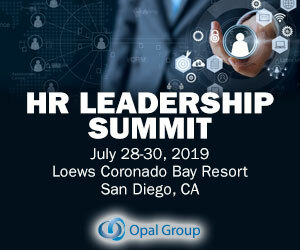 Upcoming Webinars Webinars eteki Hiring Manager levyrecruits oscar the grouch rdaily Recruiting ryan leary steve levy technical recruitingConstant growth in IT hiring presents many challenges to employers. The most sought after IT pros pick and choose between multiple offers. While companies previously relied on the sound instincts of their recruiters to build strong tech teams, new insights and advanced analytics are enabling talent acquisition teams to do so more efficiently. However, the increased availability of technical recruiting metrics can create confusion amongst hiring teams that are unsure of how to use the data. While some insights are straightforward, here are a few data points that are often misunderstood by tech recruiters. Startup companies looking to scale quickly often identify technical hiring as one of their biggest challenges. Because of this, it should come as no surprise that many organizations find it just as difficult to hire the right recruiters to lead technical hiring. Tech recruiting is a unique challenge. Thankfully, there are some powerful, yet straightforward steps you can take to become a technical recruiter. Tech Recruiting TipsIt’s a fast-paced role in a world where the talent pool is mostly passive. It requires a laser-sharp focus to keep your hiring process on track. And it requires you to find creative ways to hit your hiring goals without treating people like commodities. Does this sound tough? That’s because it is! I’ve heard several technical recruiting nightmare stories. The sad part is, most of them have been driven away from the field when they could have been all-stars, all because they never had a chance to do pure technical recruiting. How to Hire a Technical Recruitment Agency. When you are looking for a candidate who has a specific technical expertise, you need a recruiter that understands the job description well and also the skills required out of your ideal candidate. This is where a technical recruiter come in. An technical recruiter is someone who has immense knowledge about the domain name. It’s a recruiting fact of life: hiring for technical roles is a slog. A recruiter who doesn’t know the difference between Ruby and Python is gonna get played. So, what is a non-technical recruiter recruiting for technical roles supposed to do? When you are looking for a candidate who has a specific technical expertise, you need a recruiter who understands the job description well and the skills needed from the ideal candidate. This is where a technical recruiter come in. A technical recruiter is someone who already has immense knowledge about the domain. f you are planning to hire a technical recruiter for your organization, then here are the traits that you should look for: 1. Did you see the recent article in Recruitment Grapevine where Rethink Group talked about their evolution into a Recruitment 2.0 Proper partnering from recruitment through to retention. If only the cowboy technical recruitment agencies would take a leaf out of Rethink’s book and cease this. The post Successful Technical Recruitment Is A Long Game appeared first on The Searchologist. The typical engineer receives an onslaught of recruitment messages every week. To find out how to improve the plight of technical recruiters everywhere, we asked Lever engineers to talk about where exactly it all goes wrong, and what recruiters can do differently. Let's first start off by saying that most companies now pre-recession all employ a team of recruiters and some have dedicated sourcers. Our biggest customer has 10 technical recruiters, notice I said technical recruiters, so this means they have dedicated resources/recruiters for all the other positions in the company. Along with 10 technical recruiters they also employ 5 sourcers. Folks, the recruiting industry is broken into 50M pieces. What should an IT Recruiter know about C and C++? C and C++ glossary for technical recruiters. C and C++ interview questions to ask during a phone/video technical interview. Technical screening of C or C++ developer skills using an online coding test. Talent Acquisition Employer Branding Hiring Recruiting Technical Recruiting Technical TalentAs we enter the full swing of the digital age, some companies are still struggling to fully realize how technology can grow. As recruiting programmers is getting more and more challenging, IT recruiters want to stay up to date with all the valuable information that can help them in hiring best tech talents. Tips for IT recruiters. 7 tips for recruiting tech talent. Social tech recruiting. Technical Recruiter at Outreach.io, joins this episode of The Growth Recruiting Podcast to highlight what it’s like to recruit for technical positions at a venture-backed startup in Seattle. The Growth Recruiting Podcast is available in iTunes !